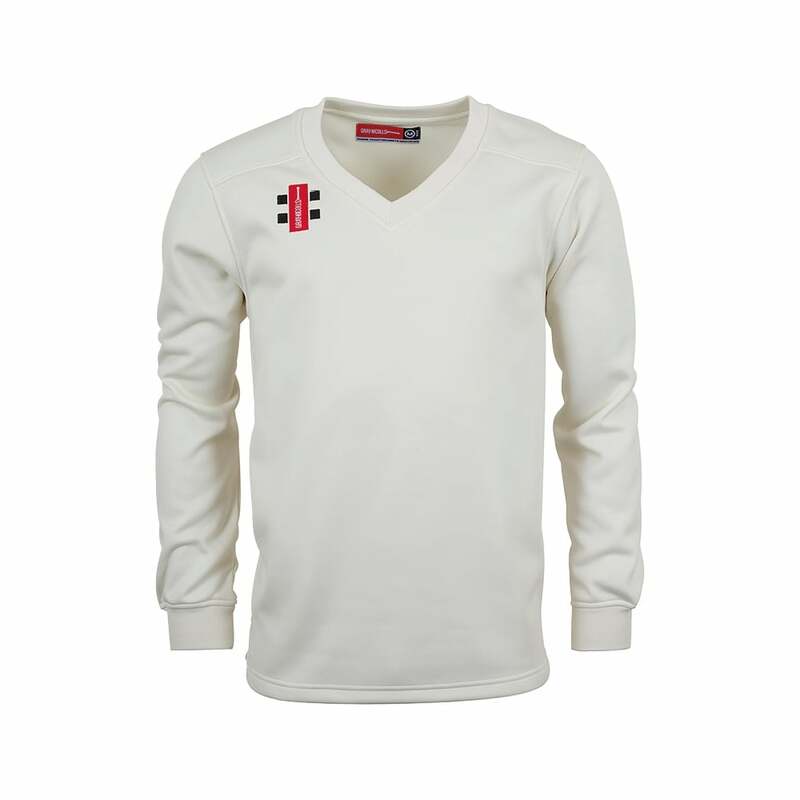 A Gray Nicolls velocity jumper, it is lightweight but still provides warmth and has a v-neck for comfort over a collared shirt. It is made from 100% polyester and has sport specific fabrics which will allow the garment to move naturally with the body even during the most strenuous of activities. It is available in ivory with a coloured trim. Sizes start at extra-small and go up to 2 extra-large.